We are proud to announce that Veterans Memorial Elementary School has been named a Leader in Me Lighthouse School! This recognition comes because our school has achieved outstanding results in school and student outcomes, by implementing Leader in Me with fidelity. It is also because of the extraordinary impact the school is having on faculty, students, parents, and our community. Leader in Me teaches leadership to students and creates a culture of student empowerment, based on the idea that every child can be a leader. The Leader in Me framework sets standards in the areas of culture, leadership, and academics. Goal-setting and data-tracking processes clarify academic priorities and encourage students to take greater ownership over their education, all of which can impact academic progress. The Lighthouse milestone is a highly regarded standard set by FranklinCovey that is attainable by every Leader in Me School. The attainment of the Lighthouse status represents a significant benchmark, and is evidence that all criteria of the framework have been met by a school at high levels. Applying for the Lighthouse milestone typically occurs three to five years after a school first implements The Leader in Me process. The Lighthouse title is awarded by FranklinCovey to honor the attainment of a well-rounded leadership model. Lighthouse Schools serve as models of leadership and mentors to other schools. There are approximately 4,000 Leader in Me Schools worldwide, with 400 of these schools being Leader in Me Lighthouse Schools. In Florida, there are 27 Leader in Me Schools. In Collier County, Veterans Memorial Elementary is one of three Leader in Me schools. We are honored to receive this stamp of excellence and be one of three certified Leader in Me Lighthouse schools in Collier County Public Schools. Today we held an assembly and shared our Leader in Me Lighthouse status news with our faculty and students. Please visit our Facebook and Twitter pages, @VMEPatriots, to see highlights from our assembly. 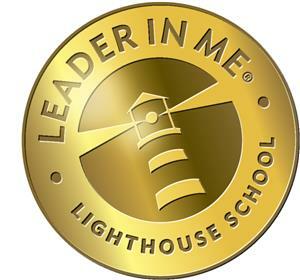 We are honored to be a Leader in Me Lighthouse School! We have seen amazing results from implementing Leader in Me at Veterans Memorial Elementary School. Information for our Leaders' League program can be found under the "Parents" tab at the top or by clicking here. Beginning August 15th, the bus loop side entrance gate will be locked in the efforts of keeping our students safe on campus. 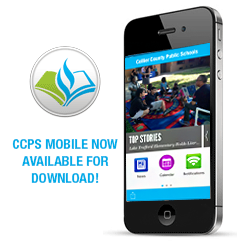 This single point of entry safety procedure will be followed at all CCPS campuses. When dropping off or picking up at Leaders’ League outside of school office hours (7:30 am - 3:45 pm) please call the Leaders’ League office at 377-0833. A staff member will answer and give you access to campus through the bus loop side gate. Please use the front office if you are dropping off between 7:30 am -7:45 am and if you are picking up between 2:45 pm -3:45 pm. We thank you in advance for your cooperation regarding this matter.